PUMA is expanding its team of European Athletics Federations: Joining Switzerland and Norway, the Portuguese Athletics Federation is the third to become part of the PUMA team! The heritage we are talking about refers, among others, to the current European record in the 100-meter. It was set at 9.86 seconds by Portuguese Athlete Francis Obiorah Obiwelu at the Olympic Games in 2004. Until today, the record has been tied by PUMA sprinter Jimmy Vicaut, but not beaten by anyone. Also Carlos Lopes and Rosa Mota have been Olympic champion in the Marathon in 1984 and 1988. Long-distance runner Fernanda Ribeiro has won the gold in the Atlanta ’96 Games while triple jumper Nelson Evora stepped on the highest step of the podium in 2008 in Beijing. 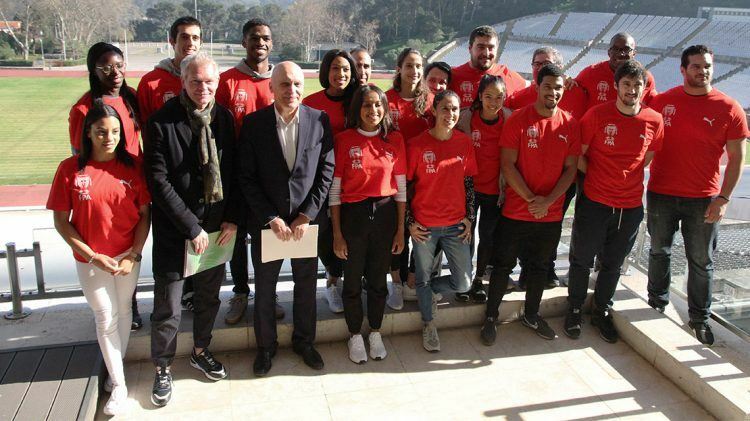 Portugal’s world-class athletes will now grant PUMA great visibility at major events like European Championships, World Championships or Olympic Games again. Some of these world-class athletes are triple jumper Pedro Pichardo and Patrícia Mamona or 400-meter sprinter Ricardo dos Santos. Pedro Pichardo’s personal best is 18,08m, which is the 4th furthest jump in history. The 25-year-old former Cuban managed to win two silver medals at the World Championships in 2013 and 2015 as well as several Diamond league meetings, elite track and field competitions that are held throughout the year around the globe. 30-year-old Patrícia Mamona signed with PUMA only two weeks ago and is the Portuguese triple jump record holder. The Olympic-Finalist from Rio 2016 and European Champion from 2016 has a massive Personal Best of 14,65m. "When Porsche knocks on your door, you open"